I have to admit that when I started writing the music project, British Sea Power were a band I’d heard snippet of and thought pretty much “Meh”. However, during that time and following the amazing film From the Land to the Sea Beyond I’m a convert. I can hear what they are trying to convey and I totally “get” them. Even if how I “get” them differs from how they, the band, want people to “get” them. Aurally, to me at least, they are the orange rust smeared metal columns sticking out of the disturbed North Sea of British noughties music and are awesome at doing it too. 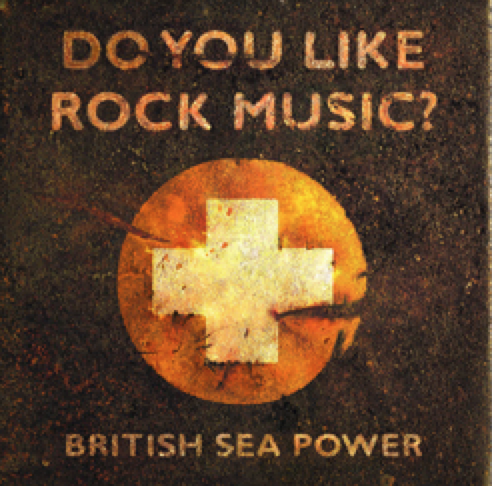 We’ve met British Sea Power before on the music project, with their debut The Decline of British Sea Power. However, Do You Like Rock Music? is totally a great starting place for someone coming fresh to the band, indeed, many of the tracks on the album reappear in the film From the Land to the Sea Beyond. British Sea Power might not be everyone’s choice of sound but if you like your music salt encrusted and flavoured with centuries of coastal industry and deprivation, then I suggest you give them a try.